"I have never felt better cared for by any previous dental groups. Dr. Young & his team are the best, hands down." "I would highly recommend Dr. Young for your dental needs. He is very personable and professional and listens to your concerns." "I had a very nice visit. The office runs like a clock. I was not left waiting, my appointment was extremely pleasant and my cleaning was very thorough." "I have had consistently good service here for years! I highly recommended Scott Young and his wonderful staff." "Wonderful dentist for the family! Great staff, friendly environment and beautiful facility." "The absolute best dentist and most amazing staff I have ever had the pleasure of working with." "I can’t say enough nor express my thanks in adequate words for the skill and genuine care that the hygienists in this office have given me." "Dr. Young is very knowledgeable and caring. He is a perfectionist. I wouldn’t trust my teeth to anyone else." "Dr. Young in a category all by himself. He is the best, and pain-free! This goes for his entire staff as well." "The quality of care and service I received far surpassed my expectations. I highly recommend Dr. Young and his amazing staff!"  "Scott Young and his staff are extremely professional and the dental care they provide is simply the best available! Today I have a smile that I am really proud of!"